Description Printed from the glass plate negative. See 682b. Photo taken by Will Bickner. 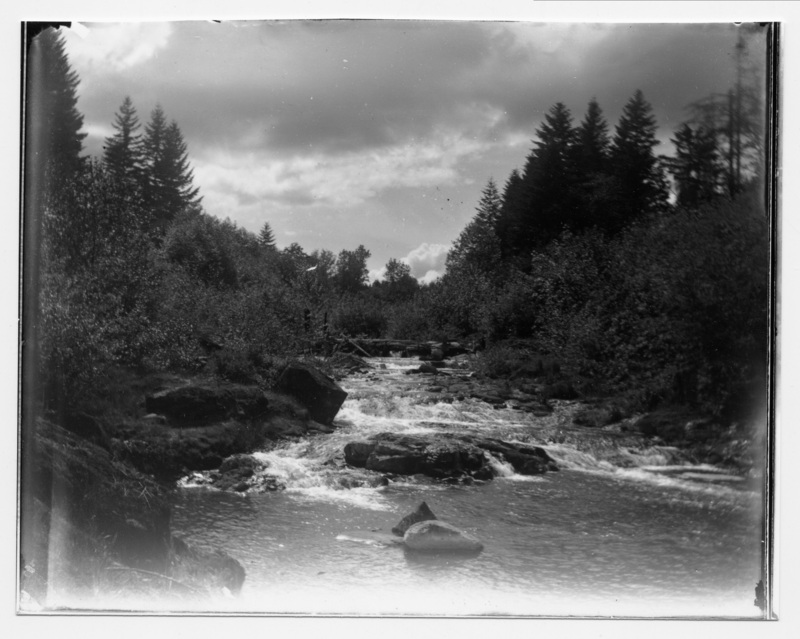 Written on the negative sleeve: Date: May 27 1902; Time: 2 p.m.; Light: Cloudy sun came out bright; Stop: 8; Expos: 1/10 Ray Screen; Plate: S... 27; What: Sucker Crick Rapids; Box 10.